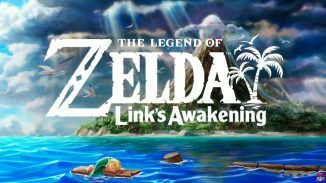 Since its release last year the Nintendo Switch has established a huge library of games catering to all kinds of audiences. Many people enjoy playing together on the Switch and there are a ton of great co-op and multiplayer games to do just that. 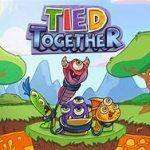 If you’re in the market for a new one Headup Games has recently released their new title called Tied Together that is playable with 2-4 players. Is this your next co-op title? Let’s find out. 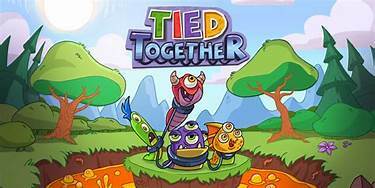 Tied Together is a 2D puzzle platformer game with a rather colorful and cute art style. 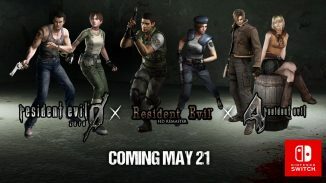 As I said the game is playable for 2-4 players although it’s local co-op only with no online option available. There isn’t much to the story as it really only is about these different monsters that scientists are putting through these tests which are the levels you are playing through. The twist is that you are tied together by a rope so you can’t move very far from the other player(s). The game has 60 levels in total but are split depending on how many people are playing. If you have only two people then you have access to 40 of the levels but if you have 4 players you can play an additional 20 levels. Normally with a game like this you’d expect the levels to start out rather easy and then progress in difficulty from there but in Tied Together it kind of is all over the place. Yes it does start out rather easy and get harder but then you’ll overcome a rather difficult level and then proceed to blast through the one after that rather fast. It was just odd how the game was oddly balanced that way. 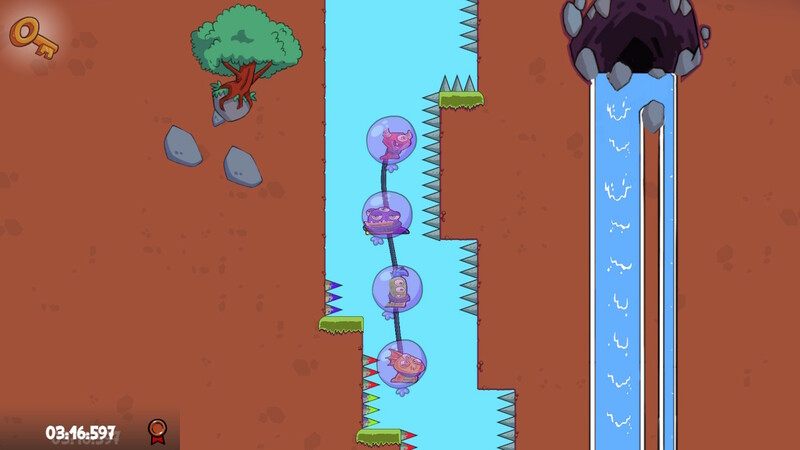 The levels themselves involve having to get to the end goal and sometimes you’ll need to find a key or multiple keys during the level to unlock a gate at the end. There are all kinds of hazards too such as spike traps or rotating fans that you have to navigate all while being tied together. You’ll need to sometimes jump at the same time or maybe dangle your teammate(s) below an obstacle so that they can proceed or reach a key. 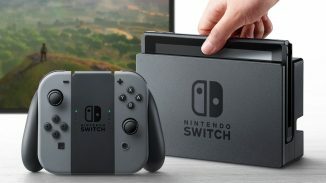 The controls are simple for anyone to pick up and play with there really only being a jump button and a button to anchor yourself so that you don’t move. This is used in ways such as anchoring yourself to a wall so that the other player can swing without falling and such. 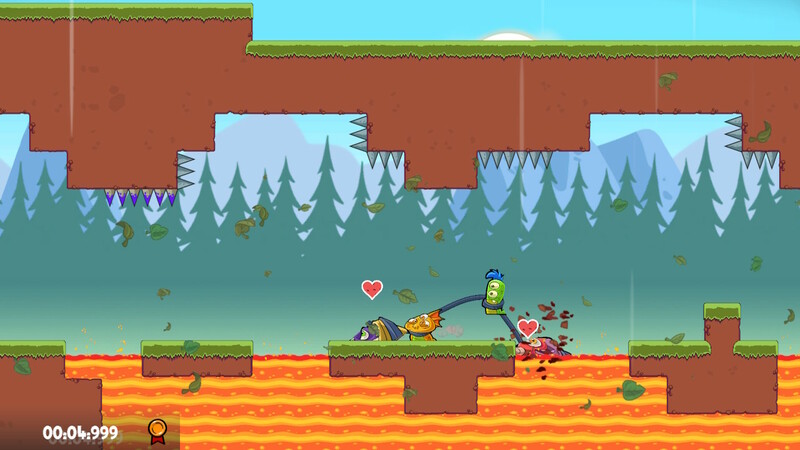 If a player dies during the level they can also be revived by moving close to them and hitting them to get them up. One of the downsides to the game is that it really didn’t take long to finish. Some of these levels can be finished in under a minute and when there are only 60 in total that is a problem. If you get stuck on any of them while you are playing there is an option to skip the level and keep on going but I never really used this feature. There are different ribbons to earn for each level with them being a bronze, silver, and gold system. Which one you earn all depends on how fast you complete the level. This can be a way to get more time out of the game but I also didn’t really feel any incentive to. There should’ve been something to unlock for getting better ribbons whether it be some way to customize the characters or something. There isn’t even online leaderboards to compare times to other players. We had fun while playing Tied Together even though it didn’t last very long. It’s easy for anyone in the family to pick up and play it and the silly nature of it led to quite a few laughs while playing. 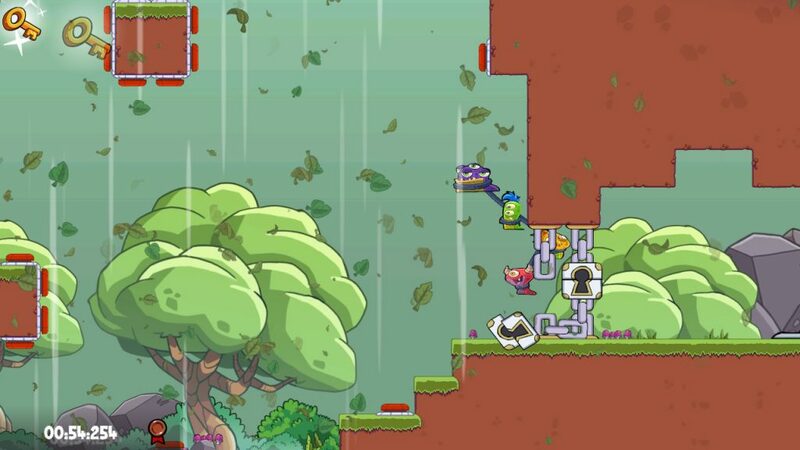 If it had more levels or more reasons to play the levels that it does have over again I could recommend it more but as it stands right now I’d wait for a sale on it. *Tied Together is out now on Nintendo Switch. Review copy provided by the publisher.